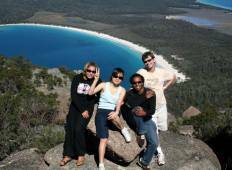 Find a Christmas & New Year trip that explores Freycinet National Park. There are 9 tours to choose from, that range in length from 6 days up to 12 days. The most popular month for these tours is October, which has the most tour departures. 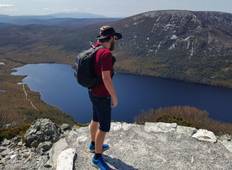 "I spent an excellent time in Tasmania with Tour Radar....Thanks for the wonderful..."
"We had an amazing time. Both our guides Sharpie and Mat have been so helpful and..."
"One of the most challenging tours at 74 years old. Great accommodation at Strahan..."